This summer, dining outdoors is a must. Warm weather, good friends, and good people is all you need to make an evening in the backyard memorable. 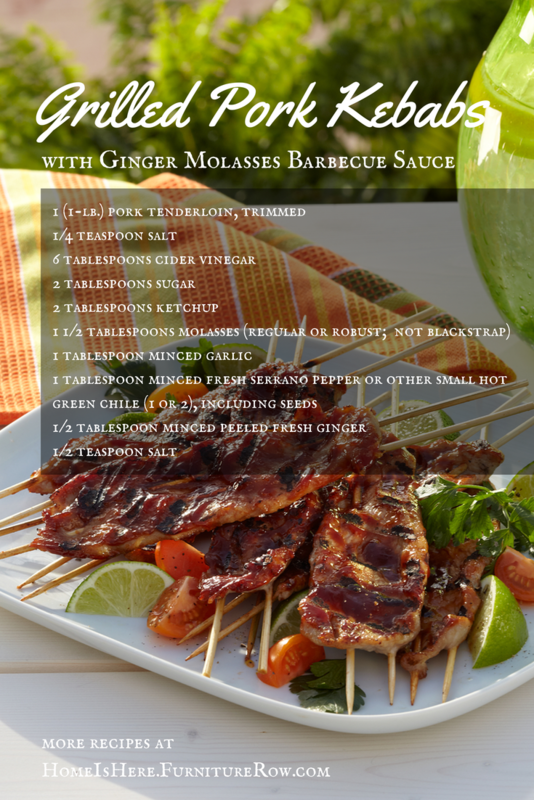 With this succulent recipe for Grilled Pork Kebabs with Ginger Molasses Barbecue Sauce, and our Outdoor Dining Tips blog post, dining al fresco could be happening in your background tonight! 1. Stir together all sauce ingredients in a 1- to 1 1/2-quart heavy saucepan and briskly simmer, uncovered, stirring occasionally, until thickened and reduced to about 1/2 cup, about 3 minutes. 2.Transfer sauce to a medium bowl and cool to room temperature. 2. Thread 2 skewers, 1 at a time and 1/2 to 1 inch apart, lengthwise through each slice of pork and transfer to a tray lined with plastic wrap. 3. If using a charcoal grill, open vents on bottom of grill, then light charcoal. Charcoal fire is hot when you can comfortably hold your hand 5 inches above rack for no more than 1 to 2 seconds. If using a gas grill, preheat burners on high, covered, for 10 minutes. 4. 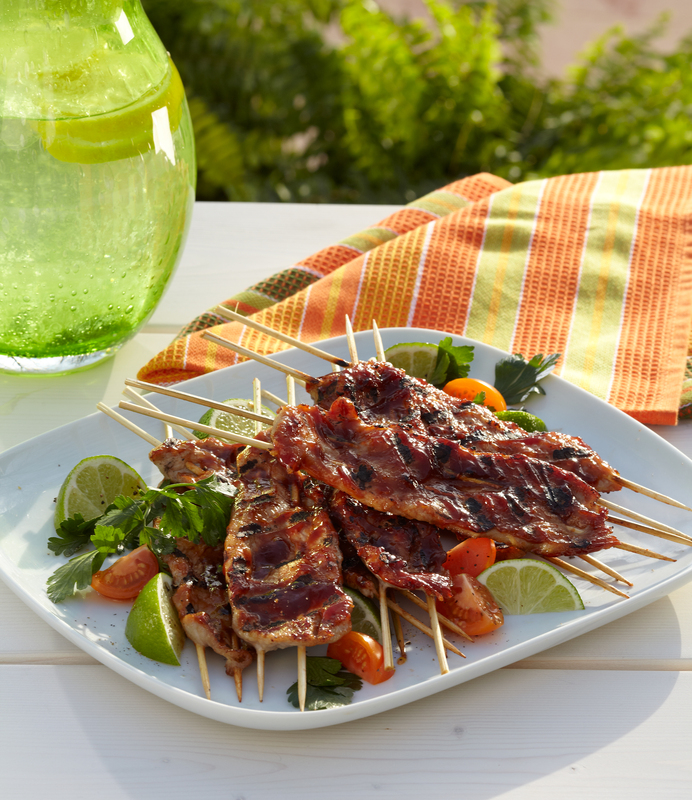 Sprinkle pork slices with salt and brush both sides with barbecue sauce, then grill on oiled grill rack, uncovered, turning over once, until just cooked through, 2 to 3 minutes total. Discard any leftover sauce. For more recipes visit our list here.